Missing emeralds, unexpected corpses, a cryptogran, erudition, a touch of the macabre, an old church with ringing bells, and Peter Wimsy performing feats of deduction and exercising his freakish humor. A fine bit of writing, a good story, and at the same time a rattling good mystery. 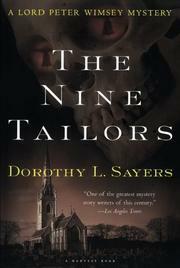 Dorothy Sayers at her best.